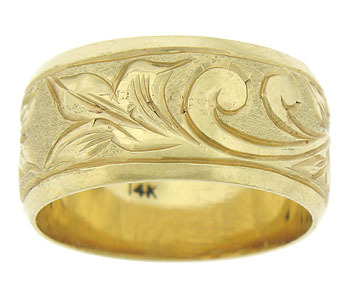 A rich, bold floral engraving adorns the surface of this 14K yellow gold wedding band. The vintage wedding rings jewel cut decoration sparkles from the rough surface. The edges of the ring are tapered and brightly polished. 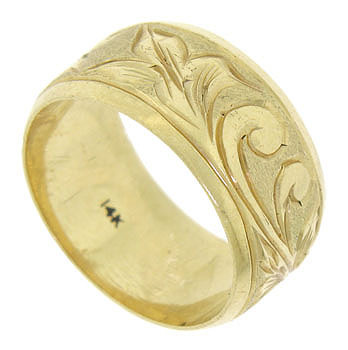 The ring measures 9.32 mm in width. Circa: 1950. Size 7. We cannot re-size.